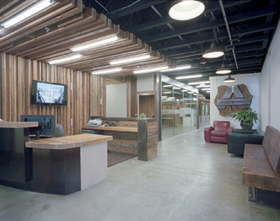 Andersen Construction built itself a new Seattle headquarters using 95 percent recycled, reused or re-purposed materials. Rafn Co.'s seismic retrofits to Bethany Presbyterian Church earned it top honors in the 2012 ABC Excellence in Construction Awards. Rafn reinforced the sanctuary with a series of concrete columns installed within hollowed out walls, then applied shotcrete to fortify the church's bell tower. The Associated Builders and Contractors of Western Washington was expected to honor its members' projects Wednesday night during its 2012 Excellence in Construction Awards banquet at Meydenbauer Center in Bellevue. 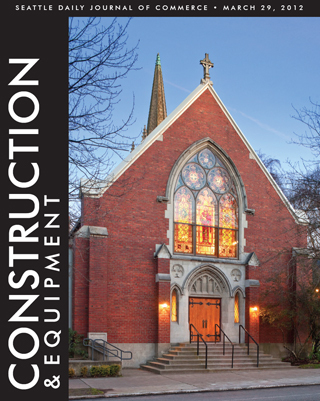 Topping the competition this year with the Eagle of Excellence Award was Rafn Co. for a seismic renovation to Bethany Presbyterian Church. That project won the historic preservation/renovation category. Rafn also won the multifamily category for Monica's Village Place 1 and the tenant improvement/renovation category for its work on the Paccar IMAX Theater. Twelve excellence awards were handed out along with two merit awards. Winners of merit awards were Dochnahl Construction for its Saint Gobain Containers project and Synergy Construction for its Passage Point project. This year's judges were John Schaufelberger of the University of Washington, Chun Lau of Brown and Caldwell, Meredith Everist of Baylis Architects, Scott Rice of CollinsWoerman, Kate Spitzer of the Miller Hull Partnership, and Benjamin Minnick of the Seattle Daily Journal of Commerce.